Guzaarish is the new ‘art painting’ created by Sanjay Leela Bhansali starring Hrithik Roshan and Aishwarya Rai. In making this film, Sanjay Leela Bhansali is inspired from opulent drama sets and Broadway musicals and is also clearly inspired from various international films like ‘The Prestige’ and the ‘Sea Inside’. The films storyline and plot is taken mainly from the above 2 films. Hrithik Roshan plays a magician who meets an accident and becomes quadriplegic from waist down. Aishwarya Rai is the nurse who takes care of him for 12 long years. Hrithik’s Ethan Mascarenhas is a survivor, fighter and doesn’t give up on life and becomes a Radio Jockey inspiring people, advising them about life and freedom and fun all the while being on a wheelchair. But then one fine day he decides to appeal to the court to allow him to die, justifying mercy-killing for someone like him who has suffered enough. The basic plot is alright but is clearly inspired from various sources and this plot is stretched right from the beginning to the end. There are other unwanted sub-plots such as a rival magician, Aishwarya Rai’s bully husband, Hrithik’s assistant and so on. They have nothing much to contribute to the main plot. Nothing is original here, not the story, not the situations. The setting is a remote palatial home somewhere in Goa, straight out of a drama or perhaps remainder of the director’s past venture ‘Black’. The sets and the clothes and the acting everything looks artificial. The setting is Anglo-Indian and characters are undefined including ridiculous Nafisa Ali as mother, who stays away from Hrithik for the reasons nobody knows. Then there is hyper Jennifer Patel as the lawyer who behaves more like a school principal. She is certainly a stupid lawyer. Aditya Roy Kapoor is simply there because he is the producer’s brother and his afro hair cut and speech makes him look like a ‘south bombay yuppie’ more than a Goan magician. Suhel Seth as doctor takes the cake though. He is completely lost and a crying Suhel Seth evokes laughter in the audience. He was perhaps missing Arnab Goswami to argue with. The entire film, its sets and characters and ridiculous trial in court looks fake. The quadriplegic issue is almost ridiculed here. The film is like a body without a soul. The only thing that lifts the movie a bit are some scenes and the lead actor. What can one say about Hrithik Roshan who puts his heart and soul and whole body behind the role of a person destined to be in the wheelchair for life. He is intense and at times over-intense but he is the saving grace of the film. Aishwarya Rai is actually ‘good’ as compared to her other roles and is infact quite well cast in the nurse’s role. Other actors like Nafisa Ali, Makrand Deshpande, Jennifet Patel have little to do. Aditya Roy Kapoor as the young magician is okay in a limited role and looks quite amateurish, perhaps a better actor would have done the role in a mature way and Victoria’s Secret girl Monikangna Dutta is hardly noticeable. Chemistry between the lead pair is quite nice though like most of their past films done together. 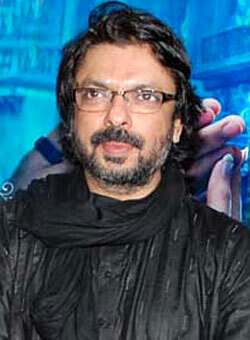 Coming to the director, why oh why does someone as talented as Sanjay Leela Bhansali does this over and over? He creates a beautiful art form but then it doesn’t have life in it. He creates artificial world of his own and there is absolutely no connect with today’s audience. You feel bad for Hrithik’s character at the start but by the end of the film there is hardly any sympathy for him, one doesn’t feel like crying even when he is about to die. The feelings are all artificial here and the director is trying too much to evoke sympathy. The director is trying to create one masterpiece after other without realizing that audiences are seeing through his work. He is trying to show-off his technical skills, which must agree are great to look at, but he has forgotten one basic ingredient in his past few films and that is entertainment. There is seriously no entertainment in his past few films including this one. You do not have to make a dull,boring movie if you are tackling a serious disease, you can make it heartwarming and interesting, prime example being ‘Taare Zameen Par’ which dealt with Dyslexia in a positive way. He is also the music director, screenplay writer, story writer and whatever else that comes to your mind about film making. The music is average and you hardly remember a tune once the movie is over. In fact some of the songs are actually harsh and hurting to the ears. He goes into unwanted detailing at times which are clearly not needed. What we needed was a simple story, more realistic, more touching our heart. Clearly the filmmaker is in his own little narcissist world. My Ratings : 5.675/10 – Beautiful but slow and a blatant copy. Body minus the soul. P.S. Watch ‘ The Prestige’ to understand the world of magicians, its a masterpiece.